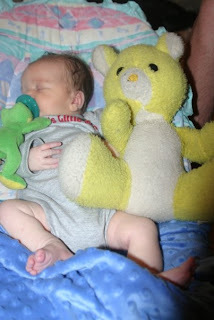 This is the bear that I got from Uncle Doug when I was little. It is Turner's now and Logan likes to play with it when he is here because it has a wind up on the back and finds that a novel idea. Funny how the times change.